Boston Marquee Features our Gallery! 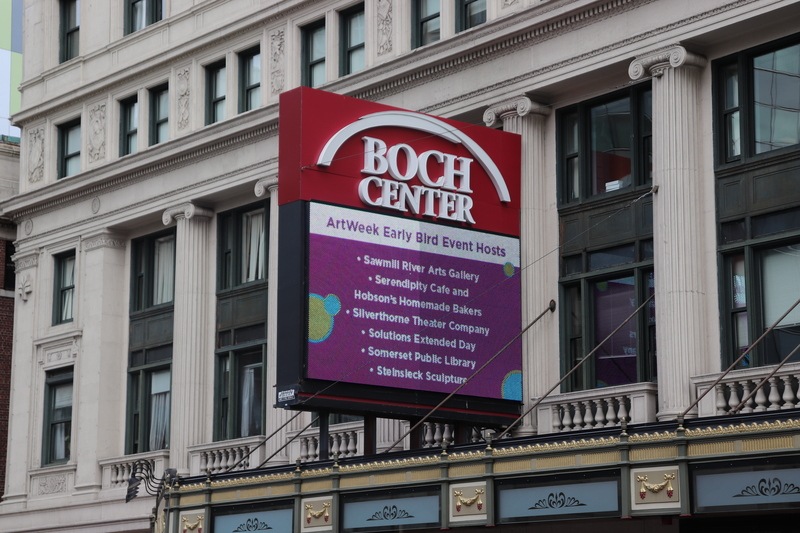 As “early bird” participants in ArtWeek 2019, the Sawmill River Arts Gallery is featured on Boston’s Boch Center marquee! The ArtWeek celebration at the gallery will take place Sunday, May 5 from Noon to 6 p.m. Artists will demonstrate how they “waste not, want not,” with relation to craft/art supplies, and give visitors a chance to make something of their own to bring home.